Ah, Valentine’s Day—a celebration of love, affection, and appreciation... and gifts, of course. Whether you plan to enjoy a romantic dinner for two or a cozy night at home, it’s always nice to spend quality time with your partner and create lasting memories. And if you’re looking to spoil your sweetheart this February 14, we’ve got you covered with some great Valentine gifts for him. Real Simple’s editors have searched high and low for the best gift ideas for men that are functional, luxurious, and personal, and the list we’ve created truly has it all. Find the greatest gifts for any type of man—from the snazzy dresser or frequent traveler to the beer connoisseur. Whether he’s an astute businessman who spends most of his days brokering deals in the office, an enthusiastic foodie with an insatiable appetite (no pun intended) for the coolest new snack crazes, a trend-driven designer with a penchant for home décor, or a kid at heart, these choices are certain to satisfy even the most particular man. Looking for a gift that serves a dual purpose? Perhaps a set of palm reading coasters will strike his fancy. Is your spouse a golfer? Let him practice his swing with an indoor putting green. Does your partner love to prepare home-cooked meals? Add a brand new Shun knife to his kitchenware collection. Elevate your man’s sock and underwear drawer with some high-quality items–it may not seem like a super fun gift but trust us, he’ll be thanking you for the upgrade. And, for those men in your life who are a bit more traditional, we’ve rounded up some classics: a whimsical tie with a modern twist, a luxe shaving kit, and a practical, yet stylish magnetic bottle opener. So, go ahead and peruse our handpicked list of Valentine’s Day gifts for him to spark some cute ideas for every personality type. Shopping for your Valentine has never been this easy–as long as you weren't hoping to pick up some of those Valentine's Day candy hearts. It’s no surprise why 4 million of these slippers have been sold over the last five years. Made with superior sheepskin and lined with warm fleece, L.L. Bean offers some of the best and most durable slipper options. He’ll wear these all throughout winter and will have them for years to come, too. If you're going to get into the Valentine's Day spirit, you may as well go all out by gifting him a pair of heart-adored underwear. Tommy John is known for it's comfortable, breathable fabric and convenient contour patch that men love, so he'll probably end up wearing this lovable pattern even after February 14 is long gone. Breda's square-faced Visser watch has a bit of a retro vibe but capitalizes on modern styles to bring a vintage look up to modern speed. The 35mm face features rounded corners and a blue backdrop to delicate gold hands, and a stitch-less leather strap. If brown isn't part of your guy's daily color palette, the Visser watch also comes in rose gold with a black leather strap. Kitchen appliances should be additive to his daily routine as well as his home decor. This Stagg Pour-Over Kettle not only ups his coffee game by allowing for precise temperature control (which can hold for up to 60 minutes! ), but the stainless steel smart kettle also adds a classy and sleek touch to his counter tops. Matte black is all the rage right now, but if you think he'd like a more timeless finish, the brand has a similar pour-over kettle (not electric) in copper for $99. To buy: $149; bespokepost.com. In this comical–yet tasty–twist on the quintessential Valentine's Day gesture, The Manly Man Company is giving you the chance to gift your boyfriend or husband a beef jerky bouquet of either flowers or roses. In addition to your meaty flower preference, you can choose whether your man's bouquet comes in a beer mug, a glass pint glass, or a black steel pint glass. For the perfect pairing, why not pick up a case of your guy's favorite brew and have yourselves a little beer and jerky tasting? To buy: From $49; manlymanco.com. Athlesiure has been a booming trend for women, but if your guy is a little slower to step up his workout style, gift him something cozy and functional for Valentine's Day that you know he'll look good working out in. Champion's line for Target, C9, is the perfect place to introduce him to the athleisure lifestyle, with trendy styles that hit at a very manageable price point. Go ahead and replace his ratty college hoodie with this fitted sweater-fleece jacket. The lightweight layer contributes warmth without any bulk, has thumb holes to keep his sleeves comfortably in place, and features convenient zip pockets for easy phone and wallet storage. If he's cold during his walk to and from the gym, you can add on the line's tech fleece pants and sweater-knit gloves. These may be some of the most comfortable socks invented and there’s a few reasons for that. Bombas uses lightweight fine Gauge cotton, stay-up technology, and intuitive stitching designs to produce a truly all-star sock. Not only that—Bombas donates one pair of socks for every pair purchased. This purchase will make you both feel good for more reasons than one. So a briefcase isn’t really his style? For the rugged guy with a fashionable side, here’s a home for his laptop and lunch while he rides to work or a place to stash his carry-on travel essentials when he’s on the go. With a mixture of leather and wool panels, the bag is a big step up from the sporty pack he’s probably had for years. 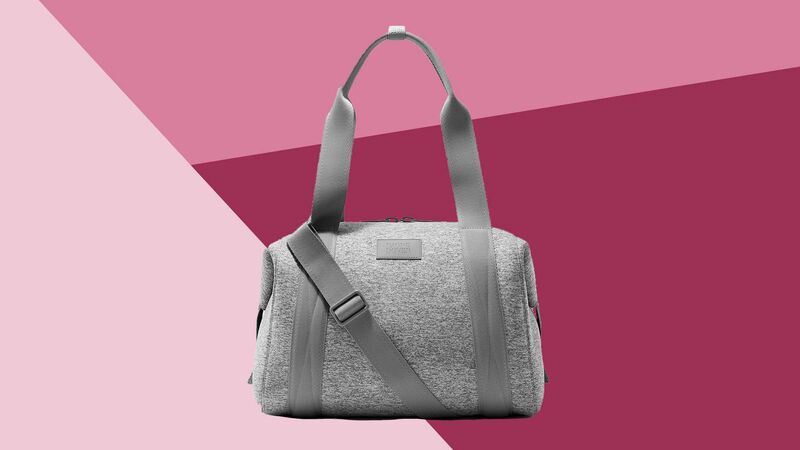 But he won’t have to sacrifice style for utility with this pick—inside he’ll find a padded laptop sleeve, multiple organizers, a key clip, an iPad pocket, a front stash, and two side pockets. Love the look of this trio, but worried his lack of gardening skills renders this gift impossible? Good news: Air plants are notoriously easy to care for—they require only a bit of sunlight and a misting a few times per week, which means he can dip his toes into the art of horticulture. For an artful addition to his office or den, hang the plants, which come tucked inside three alfonse sea urchins, in a cluster using the included hanging materials. This unique trio not only looks great but also serves as an instant conversation starter. For the guy who loves his slim cut chinos, here’s a compact wallet that won’t add bulk to his pockets. At just 2.25 inches by 2.75 inches, it’s small but still mighty enough for all of his needs, thanks to a double pocket design that means he can carry cash, cards, and even an extra key in one centralized spot. One side is constructed of soft brown Italian lambskin leather, while the other is a durable canvas blend in red, white, and blue. Double stitching and elasticity ensure he’ll have a handsome place to stash his cash for many years to come. There’s nothing wrong with reminding him what a good pair you two are—and, in particular, how grateful he should be to have you as his partner. This cheeky 16-ounce mug (another bonus: That’s two servings to help him wake up in the morning) will serve as a daily reminder he’s pretty darn lucky to have you. And when he gets to the end, he’ll find a secret message (“That’s All.”) printed inside. Despite the comical text, the muted white color means this piece can blend right into any kitchen (and your existing mug collection). To buy: $23 for 12; amazon.com. Does he love to craft specialty cocktails for friends? Or perhaps he likes to enjoy an old fashioned after a long day? Add a fully-equipped mixology kit to his bar so the cocktails can keep coming. This 10-piece bartending kit will allow him to create any cocktail recipe, and it will spruce up his bar's decor. Maybe you met while backpacking through Europe… or OK, maybe you just like to dream about the trips you want to take in the future? Let this gift, a scratch off map of the world, serve as a way to document the travels you’ve already taken together—and inspire future adventures. Bonus points for the gifter who has the forethought to have the poster framed before it’s presented on Valentine’s Day (just remember to choose a frame without the glass). Available in two sizes: standard (23 inches high and 32 inches wide) or large (33 inches high and 47 inches wide). To buy: From $26; uncommongoods.com. If he loves spending time in the kitchen cooking up new dishes, he’ll be very excited about a new knife from Shun. Handcrafted in Japan, this stainless steel cleaver is ideal for chopping, slicing, and dicing. You can even have it monogrammed so he feels like a professional 5-star chef. To buy: From $130; williams-sonoma.com. With everything he does on the job, at home, and beyond, your partner works hard. So he deserves some R&R on Valentine’s Day (and after, too). This year, your Valentine gift for him should be this cozy aromatherapy wrap to make sure he takes time to throw up his feet and relax every once and a while. Inside, the 100-percent cotton flannel wrap holds 12 fragrant herbs (peppermint, spearmint, rosemary, lemon grass, and more) and flax that warms in the microwave in just three minutes to deliver the ultimate in relaxation. Stylish, durable, and functional, these Le Specs sunglasses will be perfect for him—and they won’t break the bank for you. The Australian-made shades will become his go-tos, and he’ll be rocking the Valentine's Day gift all year round. If he's been eyeing the Nintendo Switch but it's a bit too pricey, make it up to him with another nostalgic game system: Sega Genesis. This version is wireless, so those hours with Sonic the Hedgehog will be a little more seamless than they used to be. (Plus, we bet he has a much larger TV to play on these days, too.) The console comes pre-loaded with 80 different games he’ll remember from days gone by. If he’s still hanging onto some of his favorites, those old cartridges will work just as well. Does he need a little extra coaxing to get out of bed in the morning and then a latte with a double shot of espresso to actually stay awake at his desk before 10 a.m.? How about a travel mug that doesn’t just keep his morning jolt warm… it actually brews a quality espresso in transit. All your Valentine needs to do is fill the top with fresh grounds, the body with piping hot water, and then press the button to brew espresso straight into the included mini mug. Maybe dinner can be on him next time, thanks to all the money he’s saved by not frequenting the coffee shop next door. This is the best Valentine's gift for the man who doesn’t go anywhere—not even the beach—without his iPhone, lest he miss the perfect opportunity for an Instagram shot. Though the smartphone camera will generally suffice, this small but mighty gadget will take his photo skills up a notch. An array of special modes—party, landscape, macro, kids, and more—automatically adjust the camera’s settings to ensure it captures the best a high-quality picture. Plus, he can enjoy his images right away, thanks to a built-in printer that works just like the Polaroid he used to own. The vintage look only adds to this camera’s appeal. For the guy in your life who wants to expand his options beyond the usual potato chips and pretzels, this convenient snack-of-the-month subscription may just cure his midnight snacking doldrums. Each month includes an assortment of five salty, sweet, chewy, and crunchy offerings. A rotating assortment of snacks (truffle popcorn, peppermint salt-water taffy, and Korean barbecue beef jerky, for example) is sent out on a monthly basis. Once you choose the frequency of your gift (three, six, or 12 months), you’ll receive an order confirmation that includes a welcome certificate to print and present to (or forward to) the lucky recipient. To buy: $60 per month for three months; mouth.com. Winter is in full swing, which means it’s time to break out all of the warmest accessories. He’ll love these gloves because they’re cozy, sleek, and are compatible with any touchscreen device. Being able to check your e-mail while also staying warm is what we'd consider a win. So you can count on him to fix the WiFi when the signal dies or climb up on the ladder to change the light bulb up in that vaulted ceiling in your living room, but would he be able to survive in the wilderness? Two years of Boy Scouts probably won’t cut it. Give the guy who always wants to have all the answers a fun and instructional book that’ll teach him how to live life a little more like Bear Grylls. The 320-page tome includes practical advice for “roughing it,” including how to build a shelter, what kind of plants you can (and can’t) eat, how to signal for help, and more. This kit, which is full of hydrating grooming essentials, is designed to give him his best shave yet. The priming oil is infused with lavender and olive oil to soften coarse hair and prep it for shaving. Aloe vera-rich shave cream works into a thick lather to protect your man's sensitive skin from his razor blade—especially helpful when he’s rushing through his morning routine because he hit the snooze button one too many times! And, finally, the alcohol-free restoring balm guarantees he’ll complete his regimen with a soothing, fresh finish. The trio is designed to last for one month. Sitting in an open office day after day can start to wear on you. But a few unique, personal touches can help his space feel a little cozier and a little less like a spot he simply occupies from 9 to 5 (and probably even beyond). This 100-percent bamboo keyboard and mouse duo will differentiate his desk from the others in the room. And big bonus: Neither the mouse nor the keyboard requires a cord, so his desk will stay neater, too. Compatible with most tablets, smartphones, and computers. A jacket that’s midweight, waterproof, and breathable is pretty ideal for anyone. Whether he’s an outdoorsy kind of guy or a city slicker, this jacket will be put to great use (and look cool) no matter what. Not only that, you can’t beat the price for such a quality garment. To buy: From $120; carhartt.com. This whimsical tie—a hipper twist on your father’s old classics—will delight any modern man. He can pair it with a light blue button-down shirt and navy suit for an office-friendly look, or wear it dressed down with a casual chambray shirt and khakis. No matter his staple style, this is one tie he’s sure to reach for again and again. The microfiber fabric (stain-resistant!) and an affordable price tag only add to this accessory’s appeal. As an added bonus, it can be converted into a clip-on if your guy needs a quick grab-and-go option. Got a guy who loves to hit the links? Help him practice his swing by getting this indoor putting green. Perfect for a garage, basement or man cave, an indoor putting green is a nifty gift that he probably wouldn’t think to buy for himself–and isn't that what gifts are for? Despite its relatively inexpensive price tag, this rustic tobacco and vanilla scented candle pulls out all the stops. In addition to the present-but-not-overpowering scent, this hand-poured soy wax candle is wrapped in handcrafted leather embossed with the name of the candle. Each 9-ounce amber glass jar also comes with a black metal lid, should he want to safely transport it into another room (or pack it in his overnight bag to enjoy on his next camping trip). Plus, this candle boasts an impressive burn time of over 40 hours. Remind him to save the leather sleeve—discounted replacement jars (sans leather strip) are available for purchase. How often do you hear, “Where’s the bottle opener?” Put an end to the constant hunt with a clever version of that well-used bar tool. This one, which is made from reclaimed oak bourbon whiskey barrels, features three powerful magnets so it can find a permanent home on the refrigerator (mountable hardware is included for those who’d prefer to hang it on the wall). No matter where he chooses to hang it, the powerful magnet will catch up to 30 bottle caps so any strays don’t end up on the floor. Other styles and finishes, including walnut, are also available. The only thing that could possibly make hammock lounging even more comfortable? A table to hang right alongside it. This sturdy barn wood table comes with rope, so it can be suspended from a tree limb, beam, or ceiling. If you’re looking for a natural wood element indoors, try replacing a traditional end table or nightstand with one or two of these. A coated finish guarantees it’ll stand the test of time—whether you choose to hang it indoors or out. Note: Due to the nature of barn wood, each table has its own distinct characteristics. These stainless steel collar stays are perfect for the man who spends most of his day suited up in the office. Engrave them with his initials, a special message, or an anniversary date so that when he’s working late, he’ll have a subtle reminder that you love him—a lot. The fact that each collar stay is stamped by hand (and therefore not necessarily straight or even) lends an imperfect charm to this personalized gift. In addition to being a thoughtful token for your guy on Valentine’s Day, these collar stays also make great groomsmen presents (in the event he’s put a ring on it!). To buy: $20 for two; etsy.com. Not your average growler, this vessel holds 64 ounces (more than five cans of beers) of cold liquid—and keeps it ice cold for more than 24 hours. A sturdy double-barreled chamber and dual bail cap makes sure his brew of choice (or soda, for that matter!) doesn’t leak or spill. As an added bonus, the clever construction also helps prevent condensation—even if he’s hiking, spending a day at the beach, or playing ball out on the field. Alternately, this growler also keeps hot drinks hot, so he can use this gift to tote his favorite freshly roasted coffee, tea, or even soup. Now he can jam out wherever he is—tailgating, camping, or simply lounging in the backyard. This pocket-sized speaker, which provides more sound than a standard cell phone, is made from recycled mint tins and ensures a range of tunes is always on queue. Accommodates any device with a headphone jack. Each speaker comes with a 9-volt battery (it’s easily replaceable once the power runs out) as well as an auxiliary cord. Choose from a wide range of designs to suit any interest. Note: Because each product is made to order, please allow up to one week for production time. Whether his specialty is cheeseburgers or ribs, this portable grill will get the job done—no matter where he’s spending the day. The suitcase opens to reveal a fully functioning charcoal grill with enough room to cook for two—perfect for an impromptu picnic date in the park, an intimate tailgating session, or even in lieu of a larger standalone barbecue for apartment dwellers with small balconies. Pair this suitcase with a cookbook from his favorite grill master or a set of portable grilling tools. It locks and closes securely to tuck away in even the smallest nook of your garage or pantry. It may look just like an ordinary book, but this little gadget is anything but. The cover flips open 360 degrees to become a hanging pendant lamp. Or lay it flat to use it as a table lamp. The rechargeable soft LED light, which has blue, red, and green hues, can remain powered on for up to eight hours, turns on when the book opens and shuts off when it’s flipped closed. The book’s spine also features a micro USB port to power up electronic devices and mobile phones. At just 12 ounces and 8.5 inches long, it tucks right into his briefcase for easy transport, too. These bite-size indulgences have a dark chocolate shell and a liquid center filled with real Scotch that will transport your man to the farthest isles. More unexpected ingredients, like cornflakes, almond, and hazelnut pieces, add a delectable twist to these non-traditional cordials. Place a box on his pillow or slip one into his briefcase for a tasty surprise. If you’re having dinner together this Valentine’s Day, save them for after the meal and crumble several onto a scoop of vanilla ice cream. The candies last for up to nine months, but we’re willing to bet they won’t last the week. Sure, he’s probably taken a few selfies… but this book is all about a new kind of photo. According to this tongue-in-cheek album description, an “ussie” is a picture taken of oneself with a friend, family member, or significant other. This hardcover album contains 32 pages with slots for inserting photos to create a keepsake made just for him. Each page is peppered with humorous tips for creating the perfect “ussie,” including asking the person with the longest arms to snap the picture. The book also includes a history of the “ussie” and some fascinating facts—did you know Ellen DeGeneres’ Oscars “ussie” was the most retweeted photo of all time? Didn’t think so! Give him a daily (undercover) reminder of your affection with these adorable boxer shorts. Tiny hearts and arrows adorn this pair of 100 percent cotton (read: super comfortable) boxers. The playful pair will spice up his predictable solid-or-striped underwear drawer and, just like those old standbys, is machine-washable for the ultimate in ease. He’ll adore them so much, you’ll want to grab more than one pair. Try other Valentine’s Day themed patterns in red and white, or play off his interests and choose a print with dogs, ships, cabins, pipes, and more. The traditional desk accessory gets an upgrade fit for the man with a stressful day job. Whether he is an engineer, a carpenter, or simply wants to make sure his art gallery wall is hung evenly, this quirky pewter sculpture will help him achieve a consistently straight line every time. Stressful meeting? Impatient client? Demanding boss? This sturdy yet petite paperweight (it clocks in at just 2.6 inches tall!) will remind him to keep his cool with the encouraging embossed message. Its hefty weight, however, will keep important papers and invoices secured in their rightful place. Think you need some quality time together? Skip dinner out and share a meal over some laughs (and possibly a bottle of bubbly) as you play along with this cute twist on an old classic. Who knows? Staying in might just become the new going out! Have fun testing each other’s varied vocabulary while you take turns being the reader and the writer. A quick flashback to elementary school English class might be in order to recall the proper definitions of adverbs, adjectives, and nouns should you get stuck along the way. With fun libs like "Cupid Chat Room" and "Meet Your Dream Person," you’ll have fun playing game after game with your man. The long-standing coastal rivalry is surely up for debate with this set of four tongue-in-cheek birch wood coasters that give equal cred to four distinct regions of the United States (West Coast, East Coast, Gulf Coast, and North Coast). These attractive coasters boast engraved lettering and a moisture-resistant finish, making pleasant resting spots for Jack, Jim, and other regulars. If he changes his mind and declares allegiance to one particular coast over another, he can exchange this set for one that represents a particular coast on all four coasters, so long as he does so within 14 days of purchase. To buy: $32 for four; houzz.com. Because it’s often said that humor is the glue that holds relationships together, this funny card might do more good than you realize! The professionally printed heavy card stock reads “I Love Overeating With You” and features a slice of pizza that's sure to spark some memories of late-night pizza orders and nights in indulging together. The 6-by-4-inch card arrives with a trendy brown kraft paper envelope and is blank inside so you can pen your own romantic Shakespearean sonnet (or inside joke if that’s more your style). Keep it lighthearted on Valentine’s Day with a tiny 160-page book (it’s about the size of your hand) that’s full of quirky you-complete-me phrases. From “You’re the Batman to my Robin” to “You’re the apple in my strudel,” this gift idea emphasizes the dynamic duo you are. Mark your favorites ahead of time so he knows which pages to turn to first. At less than 5-inches long and just 6-ounces heavy, this tiny tome is easy to tuck inside of a briefcase or carry-on so he can keep the sweet sentiments close even while away from home. Looking for a more personal gift for your guy this Valentine’s Day? This custom bronze key ring can serve as a daily reminder of the exact spot you first met, your destination wedding, or a favorite vacation locale. (Note: International locations are available, but may be a bit less detailed). Each map is immortalized in resin and mounted in bronze to keep it looking as pristine as possible, no matter how careless he is with his keys. As an added bonus, you’ll even receive a proof from the company to make sure the map is perfectly centered on the right location. For the guy who has a standing meeting in another state and spends plenty of time in hotel rooms, a rugged duck canvas and nylon bag for all of his grooming essentials makes the perfect gift. A water-repellent interior (easy to clean when shampoo inevitably pops open in-flight) with a sweet message ("hey handsome!") on the bottom will make this his ultimate survival kit. Pair the Valentine gift with a shave set or some travel-sized bottles of his old standbys. For the professional computer programmer, video game enthusiast, or couch potato in your life, these hilarious mid-calf socks are sure to bring a smile to his face. The blend of cotton, polyester, and spandex combine comfort with a snug fit for the perfect pop of color (and humor). Co-workers and friends alike are sure to get a laugh when they see these peeking out from the bottom of his pants. If he’s more of an outdoorsman than a tech lover, a wide array of other whimsical patterns, including constellations or a football field, are also available from the brand. For the new dad who has been spending late nights by the crib, this humorous compilation will have him laughing himself to sleep. With chapters entitled “Screaming: Is It Necessary?” and “Karate, Little League, and Ballet: Your Child’s Eighty-Hour Work Week,” this lighthearted tome will surely cheer up any overwhelmed father. When he’s feeling uncertain and stranded by himself on “Diaper Island,” this book will reassure him he is not alone. In addition to the relatable content, the paperback book features a handful of recipes, helpful hints, and witty illustrations. Its compact size guarantees a spot can always be had on the nearest nightstand, kitchen counter, or bathtub ledge to lend a bit of insight whenever it’s needed. This Valentine's gift is for the real estate maven, as a nod to his current gig selling homes and those rainy day board game marathons. The playful accessories feature bullet back closures, so they will stay put even while you're dancing together late into the night. A shiny silver finish will have him feeling (and looking) like he owns one of the most valuable spots on the board (Park Place or the Boardwalk, for those who need a refresher). Though the top hat is certainly the most dapper choice, other Monopoly playing pieces (including the dog, race car, battleship, and more) are also available so you can select the piece he normally plays with. For the avid reader or the Sunday crossword expert, these cufflinks put a literary twist on one of the most classic gift ideas for men. These handsome cufflinks feature reproductions of pages from his all-time favorite novels (The Great Gatsby, Dracula, To Kill a Mockingbird, and more) in silver-plated or bronze settings. Math wizards or physicists will delight in the version that highlights advanced formulas, equations, and arithmetic in aged sepia, while guitarists and other artists might like the black and white musical notes. Each set comes wrapped in recycled book pages for a special, on-theme gifting touch. Good things come in pairs, indeed! The perfect addition to a cozy date night at home (or to simply house your morning orange juice), these high-quality glasses will put an end to your guy questioning, “Is this your glass or mine?” The elegantly etched glasses are even dishwasher-safe, so there won’t be any debates over whose turn it is to do the dishes, either. Each glass holds a generous 16 ounces, and the pair comes pre-boxed in Kate Spade’s signature witty and colorful packaging, so no gift-wrapping is necessary. Short of having an actual palm reader at his next cocktail party, this hip set of coasters is the next best thing. The handmade, heavy stock paper and bright red ink serve a dual purpose: protecting his precious coffee table from ring stains and providing a touch of whimsy at the same time. Follow the letterpress drawings on these coasters to analyze his each other's heart line. The varied designs in this set of four will tell you which category you both fall into: idealistic, passionate, intellectual, or fickle (here’s to hoping it’s not the last). The set also makes a great conversation piece for the next time he hosts friends. To buy: $8 for four; etsy.com.